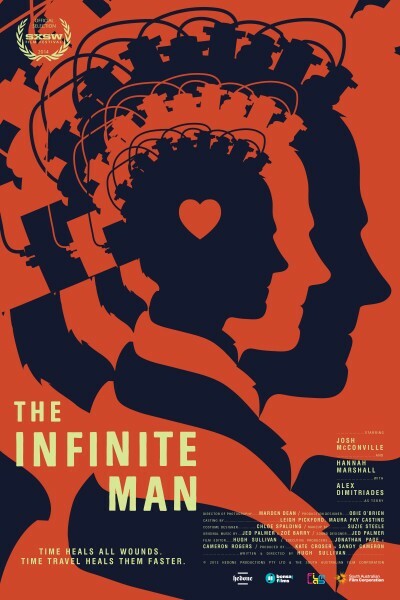 A smash hit with audiences and critics at the 2014 South by Southwest Film Festival, The Infinite Man is a brilliantly crafted time travel comedy. Dean is an inventive yet unorthodox scientist who uses his technical expertise to create grand romantic gestures for his girlfriend Lana. After an anniversary weekend goes terribly wrong, Dean is spurred to his greatest scientific achievement yet: the invention of time travel. However, what begins as a simple desire to change the past and create the perfect weekend soon leads to a tightening spiral of multiple “Deans”, each one in competition with the next. Romantic reconciliation is further complicated when Dean loses Lana in a recurring temporal loop, but can he overcome his many selves in order to save her?